There are a million places to get a new dog if you’re in the market for one. Some, like petstores or huge kennels, are never a good idea. But when it comes down to the simple question of do I get a puppy from a breeder or do I get an adult dog from a shelter or rescue, there are definite pros and cons to consider so that you can make the best choice for your household. 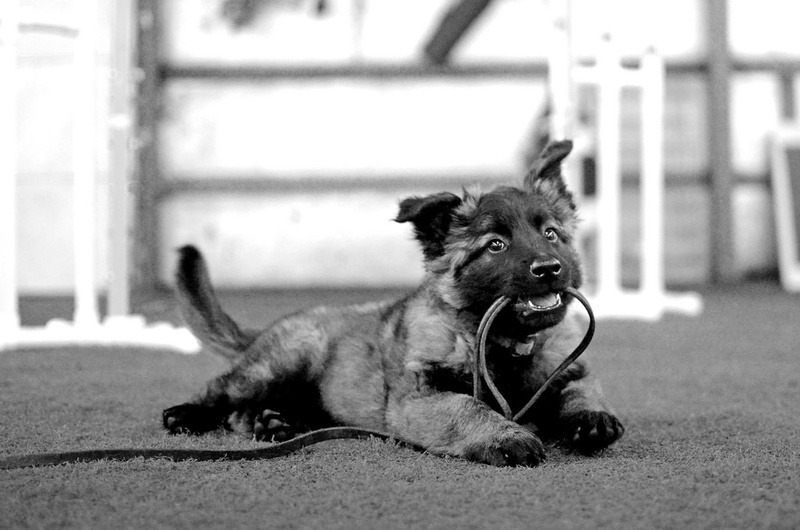 Pros and cons are not universal— some people are more flexible and have a less specific vision of what works for them while others need predictability; some people do not want to deal with puppyhood while others can’t imagine bringing home anything but a puppy. Sometimes there is no clear-cut answer, but lets lay out some of the pros and cons. First let’s look at breeders. There is a world of variation in quality of breeders out there, but for the purposes of this post, let’s just talk about people who are breeding with quality in mind– people who a re health-testing their dogs before breeding them (hip certifications, eye certifications– whatever is appropriate to the breed), who are doing their research before breeding and who care where their pups are going and what happens to them. 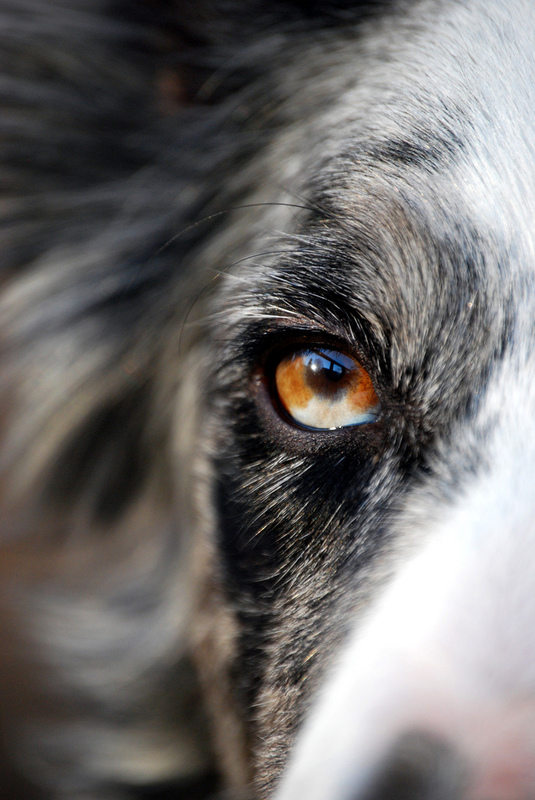 You’ll have an idea of the genetic lines behind your dog including temperament and health. If you’re looking for a mellow house-dog Golden Retriever, you probably don’t want to buy a pup from somebody breeding high-energy hunting dogs. And you always, always want to know the family of dogs that your pup is coming from are healthy. While genetics are always a bit of a wildcard, you’re doing everything you can to stack the deck in your favor. If you breed a dog with good hips to a dog with good hips, chances are pretty good that you’re going to get dogs with good hips. If you’re buying a pup of a breed that is prone to seizures, knowing that none of his immediate relatives have had seizures is a big plus. Nothing is absolute, but the odds are with you. You’ll get a lifetime of support. A good breeder is invaluable in the assistance and knowledge they can provide. Plus, it’s nice to have a cheerleader sometimes, especially through those teenage months. You get a health guarantee. Good breeders stand behind the pups that they’re producing. But be careful to read the fine print to see what exactly the guarantee is. 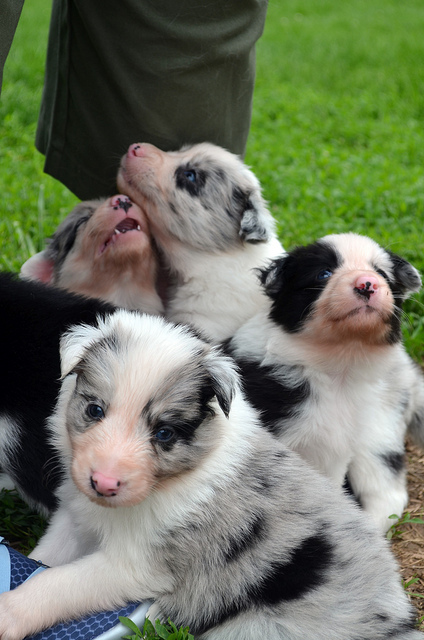 A good breeder will have already started the oh so important process of socialization. Pups will have been exposed to different sounds, different textures, different people. Some will have already been started on crate training. They’ll be on their way to being well-adjusted, happy dogs. A good breeder will take back a dog at any time, no matter what. Your pup will always have a safe place to land if something happens that you can no longer keep him, or even if he is simply not a good match for your family. So what about the cons? Good breeders don’t breed often (a litter or two a year) so you will likely have to wait. It takes time and effort on your part to find and reach out to breeders to find one who is a good match for you and your family. Good breeders can be hard to find, especially if you don’t have connections in The Dog World. The pricetag. No getting around it. It costs money to do things right, so your pup will cost a bit more. Although the purchase price is still a drop in the bucket compared to the price of caring for a dog for his lifetime, the initial layout of cash can still feel a bit painful. On the flip side, there are tons of good dogs out there in shelters and rescues who are there through no fault of their own. It’s a common myth that dogs in shelters are there because of behavior problems, but in this day and age, money, housing, and job changes are huge reasons for dogs not staying in their homes. What are some benefits of adopting a dog from a shelter or rescue? 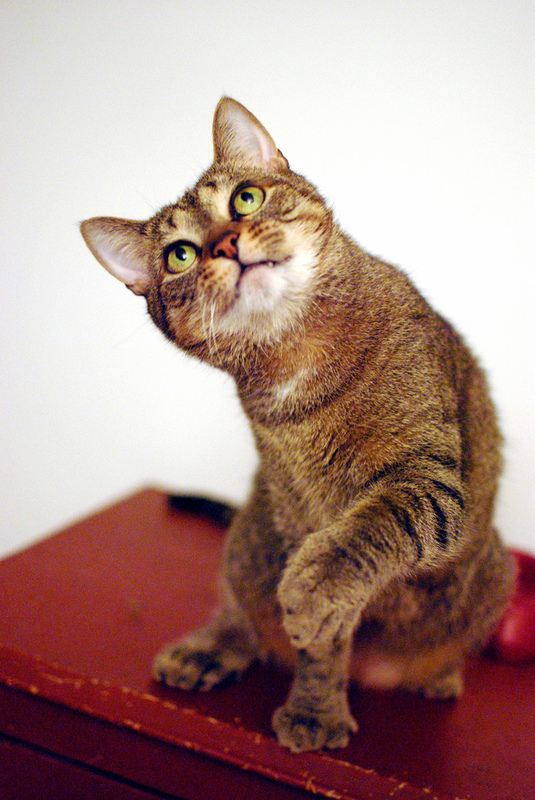 Adult rescues are often very “what you see is what you get”, especially if they’ve been in foster care. You can get a good idea of what kind of dog you are bringing home, which takes some of the mystery out of adopting. You’ll know simple things such as size and coat type (it can be so hard to predict what mixed-breed pups are going to turn into when they grow up), but you’ll also get a good idea of temperament– is this dog good with other dogs? cats? kids? Many dogs in shelters have already lived in somebody’s home and are housebroken and come with some basic skills. Training a new dog is important regardless because it is such a huge relationship-builder, but I’m always a big fan of pre-housebroken dogs, myself. Most rescues will take back dogs that they’ve placed, again, for any reason, so if something should happen, the dog has a safe place to go. You’re saving a life. Whether you adopt from a shelter that does put dogs to sleep due to overpopulation or you adopt from a no-kill rescue, you’re opening up a spot for another dog in need. Plus, there are simply some great dogs in shelters, and one of them might just be The Dog for you. There are a lot of unknowns. You have no idea what kind of health issues the parents and grandparents of your new dog may have had. You get no health guarantee, and there’s no accountability. With a puppy, you’re bringing home a complete wildcard. You might adopt a “Chihuahua mix” puppy and have it grow into a 30 pound dog. For some people, that’s part of the fun. For others, not so much. You’re not getting a blank slate. When you bring home an adult dog, you’re bringing his history home with him. While a lot of behavior issues will be readily apparent before your pooch comes home, some are not. While a dog may not show issues in a highly structured foster home, for example, he may have some issues in your more relaxed home environment. It can be a lot easier to teach manners to a puppy than to an 80 pound adolescent Labrador. Bad habits can be hard to break; it depends on how much time and effort you’re willing to put into it. If you have your heart set on a certain breed or type of dog, you may need to be very patient and persistent in your search. Some breeds are a dime a dozen in rescue, others are in much higher demand. It all depends on what you’re looking for. Unfortunately for dogs (and for people! ), one of the most common reasons for dogs being relinquished to shelters or rescues is not because there is anything wrong with the dog (or with the people), but simply because there is a mismatch between dog and human. A busy household that brings home a high energy breed and then doesn’t have the time to exercise it, resulting in a dog who destroys the house while everyone is away for the day is a good example. Or an elderly man whose well-intentioned child buys him a boisterous large breed puppy as a companion only to have the pup turn into a boisterous LARGE puppy, resulting in a dangerous situation for all. Or someone who depends on dog-park play as a way to exercise her dog bringing home a pit bull only to find out she doesn’t play well with other dogs. All of these situations can end up extremely frustrating and potentially heart-breaking for the owners, and for dogs who get turned over to shelters, possibly life-threatening. And many of them can be avoided by being realistic about the type of dog who will fit into your lifestyle, as well as the traits that certain breeds are prone to. So how do you avoid them? 1. Start with a list: What traits do you want in a dog? Do you want a couch-potato or do you want a marathon runner? Do you want a dog who is friendly with strangers or who is a one-person dog? Here’s the most important part: BE REALISTIC. Look at what your lifestyle really is. Even if the Border Collie you grew up with on the farm as a kid was the perfect dog, it doesn’t mean one will fit well into your 40-hour-work-week, small-apartment-with-no-yard adult lifestyle. Do you legitimately have time to exercise that Labrador Retriever? Do you really want a protective dog when you have young children and their friends running through the house? When you say you want a smart dog, do you want a dog whose mind has to be occupied all the time or he’ll get into trouble occupying himself, or do you actually want a dog who is laid back and easy to train? 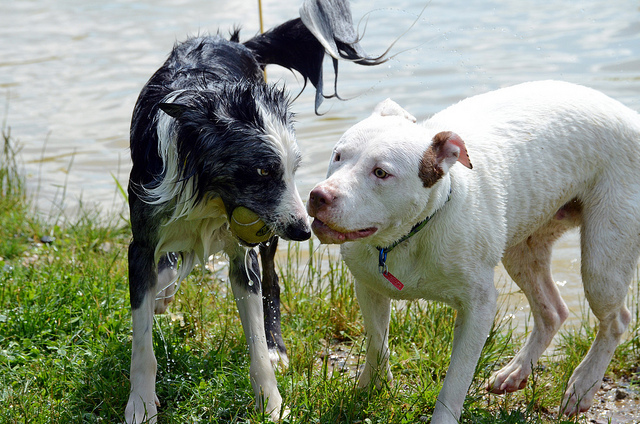 Do you need a dog who plays well with other dogs? Or would this be a better match? 2. Then make another list: What can you not live with? Again, be unflinchingly honest. Is an alarm bark when the mail drops through the slot ok but a dog who likes to announce every bird who flies past the house more than you can tolerate? How much fur are you willing to vacuum off the couch in an average week? Is it going to aggravate you having to scrub slobber off the walls? Can you afford to pay for a groomer every 6-8 weeks? Do you need a dog who is going to be good with kids and is it a deal-breaker if he is not? 3. Try a breed selector. There are a number of them available online, and some are better than others. Animal Planet has a nice one. So does Iams and Dogtime. The results you get are not written in stone, and you may get different results from one quiz to the next, but they can at least give you a jumping-off place and some different breeds to further explore to see if they are a good match for your lifestyle. It is also important to keep in mind that while breed traits were developed with predictability in mind, all dogs are individuals. 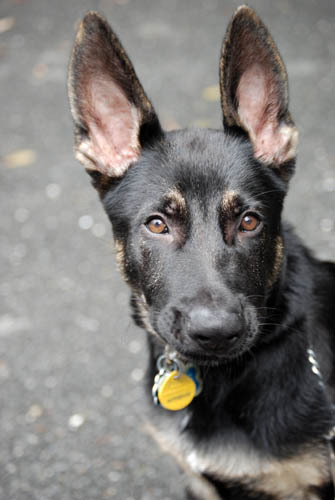 If you fell in love with your friend’s German Shepherd who has never met a stranger and loves everyone, keep in mind, that is not typical of the breed and that the pup you pick out may be suspicious and standoffish with strangers. It is really important to do your homework, especially if you are going to be getting a puppy. There are some great websites out there that give you the basics on each breed. I really like the one on Vetstreet. But nothing is going to be a better educator than spending some time around dogs of that breed. This can be tricky if you’ve fallen for an unusual or rare breed (like the Cirneco D’Elletna that I’ve recently been eyeballing), so seeking them out at dog shows and talking to people in the breed might be extremely important. What looks good on paper may not translate into a good match in the house. It might also be important to let go of preconceived notions. Not all Labs make great family dogs. In fact, many of them don’t. Dalmatians look great on the movie screen, but they were bred to run next to a carriage all day long and thus are extremely high energy. Bedlington Terriers might look like cute little lambs, but they can be very serious vermin-hunting terriers. Not all pit bulls are dog-aggressive but it needs to always be in your awareness (and it’s not all in how you raise them. 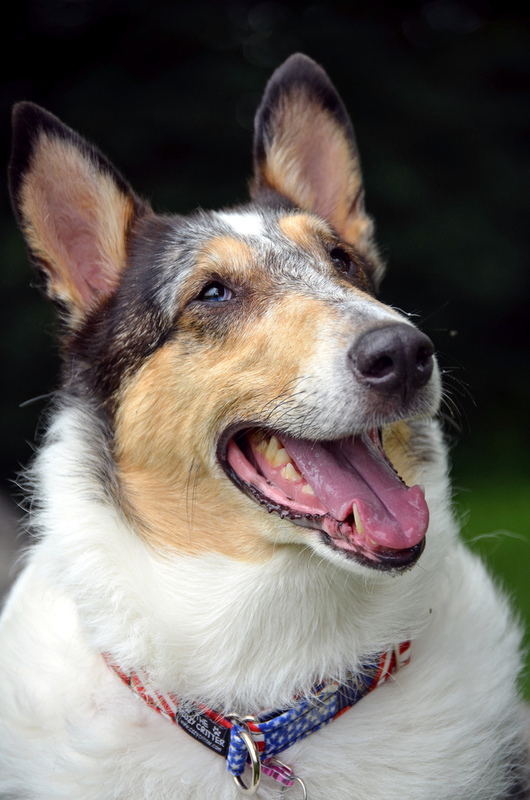 To this end, it might be worth considering looking for an adult dog, whether a retired (or failed) show dog from a breeder or a pure or mixed-breed dog from a (breed-specific or all-breed) rescue or shelter. Adult dogs tend to be fairly “what you see is what you get”, and especially if you have a complicated, busy family (multiple dogs, kids, cats, whatever), finding the specific “right” dog for you- regardless of breed- is really what is going to make things work best in the end. A good match makes all the difference. 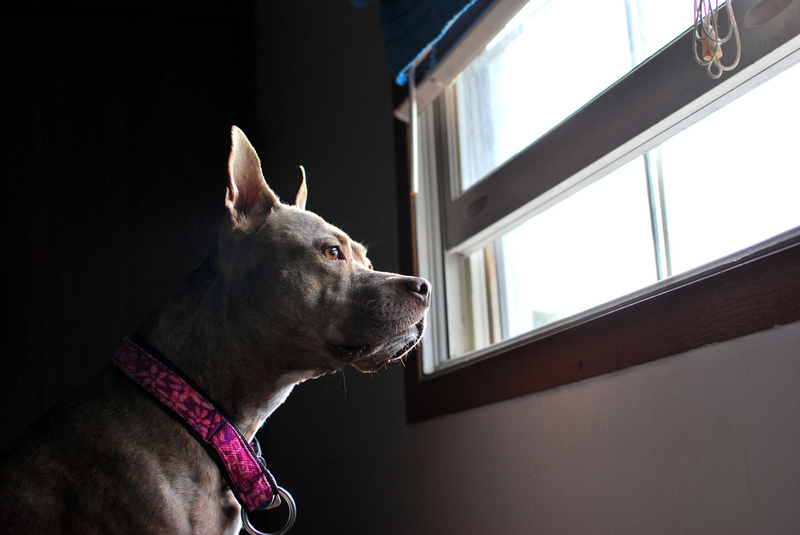 Scary thunderstorms and how to help your phobic dog. It’s that time of year– hot sticky days that end in frequent thunderstorms rolling through the area. As much as I enjoy thunderstorms, my dog is terrified by them. He hides, he shakes, he wants to cling to me, he drools. It’s really not a great time for either of us. And unfortunately, my dog is not alone. There are many many dogs of all shapes and sizes who are stressed to varying degrees by thunderstorms (or fireworks or gunshots). I’m lucky in that my dog reacts by hiding and clinging. 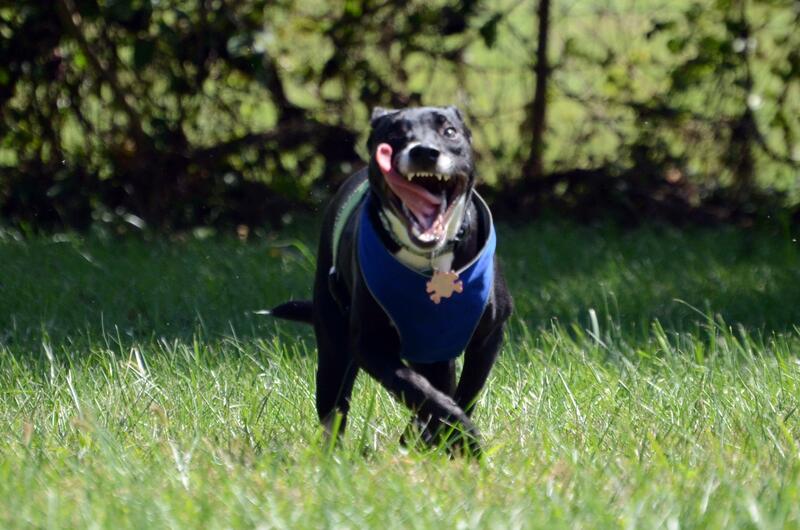 Other dogs react by being destructive or, worse, by trying to escape the house. It is not unheard of for a dog to jump out an upper floor window to escape something scary and injure himself in doing so. We need to be proactive about these fears and phobias before they get worse and potentially endanger the lives of our dogs. Thunderstorm phobia is not always a sound-based phobia. 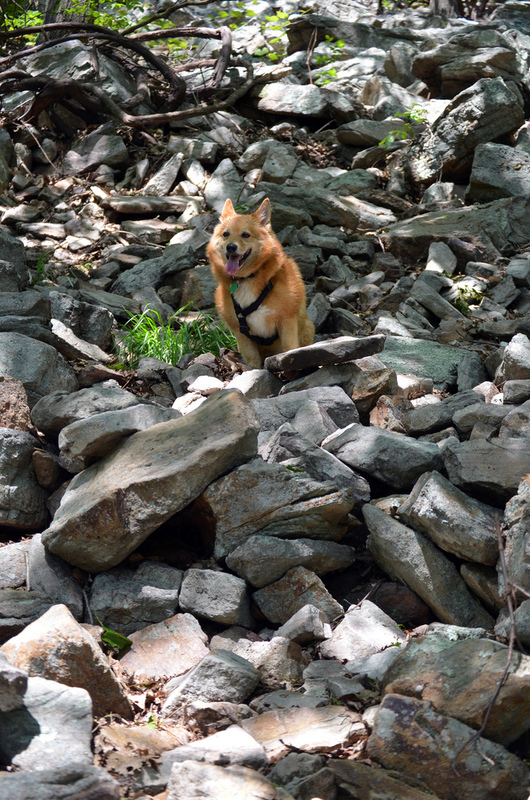 Dogs are extremely sensitive to the environment. They can react to pressure changes in the absence of thunder. They may be reacting to the change of the scent in the air. It has also been questioned whether the static charge in the air during a storm bothers them. Some dogs are upset by the flashing of lightning. Regardless, it is not simply a matter of hearing. 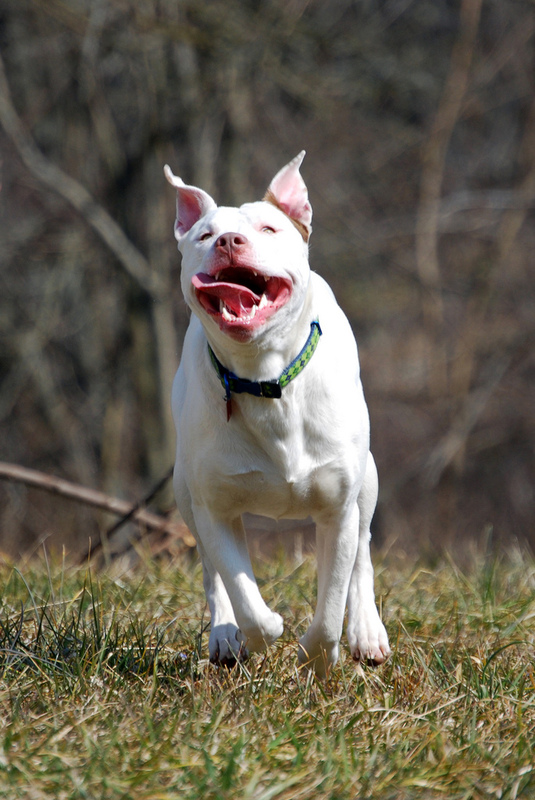 (Deaf dogs can react to thunderstorms as well). It is also important to note that you are not going to reinforce your dog’s fear/phobia by offering him moral support, by talking to him quietly and soothingly, or by feeding him treats. If you’re terrified of snakes and you end up trapped in a room full of snakes, and a friend comes in and puts her arm around you and starts telling you that it’s ok, calm down, we’ll find a way to get through this safely, is it going to make you more afraid of snakes? 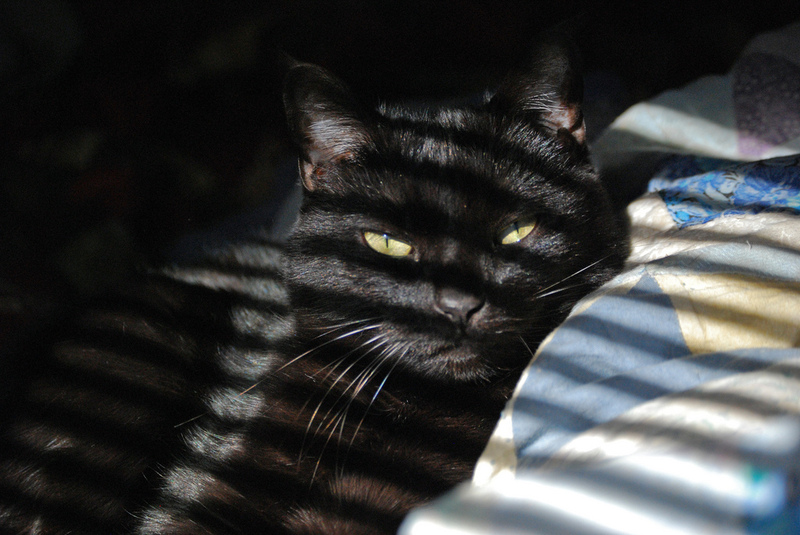 Reknowned behaviorist Patricia McConnell has some wonderful blog posts on this subject: You Can’t Reinforce Fear; Dogs and Thunderstorms, and Reinforcing Fear II and Thunderphobia III. Both are excellent reads. Many dogs, especially when they are puppies, will benefit from some preventative maintenance when it comes to storms. It is important to do your best if you are nervous about storms to remain calm and not pass that anxiety along to your dog. Turn thunderstorm time into a party! 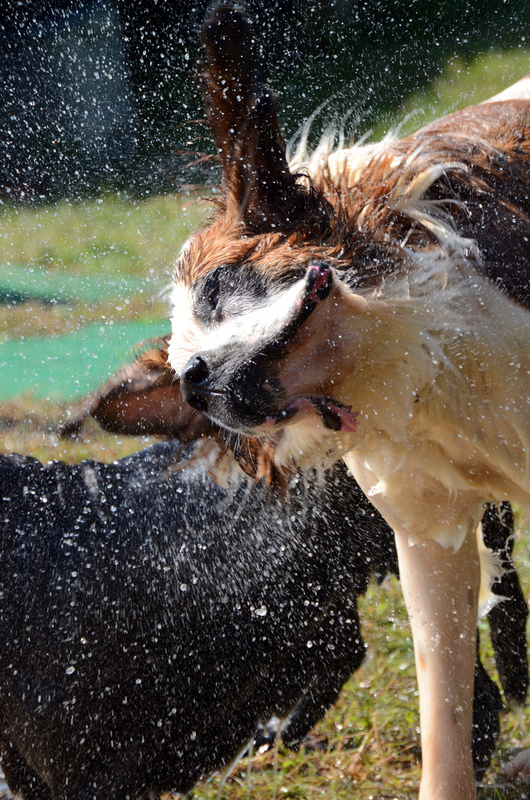 Pop some popcorn and toss some in your pup’s direction with each rumble of thunder. 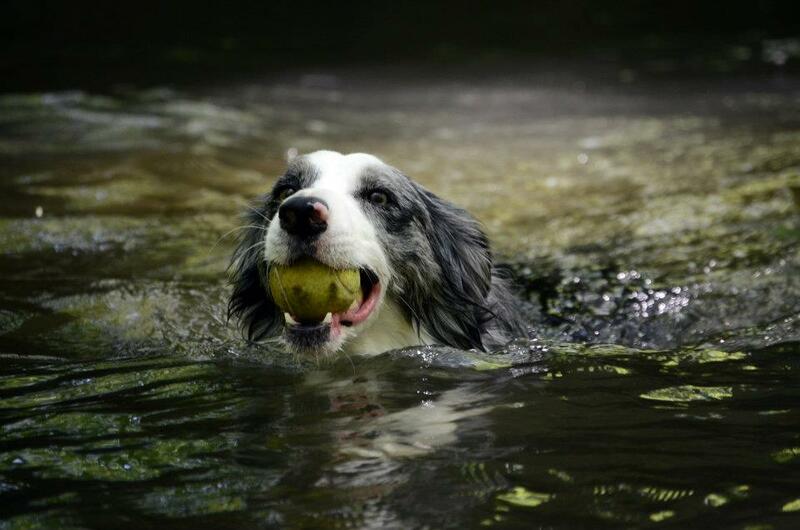 Does your pooch have a favorite toy or game? Break that out and have a good time together. Anything you can do to build a positive association toward storms will work in your favor. If your dog will not accept his normal treats or show interest in his regular toys, this means he’s stressed. 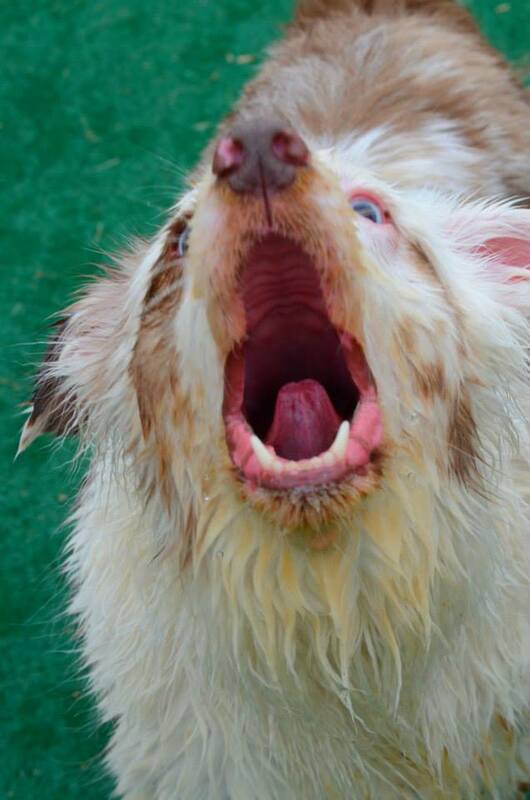 You can try upping the ante– offering really delicious treats like cheese or hotdogs (or a bullystick to chew on). 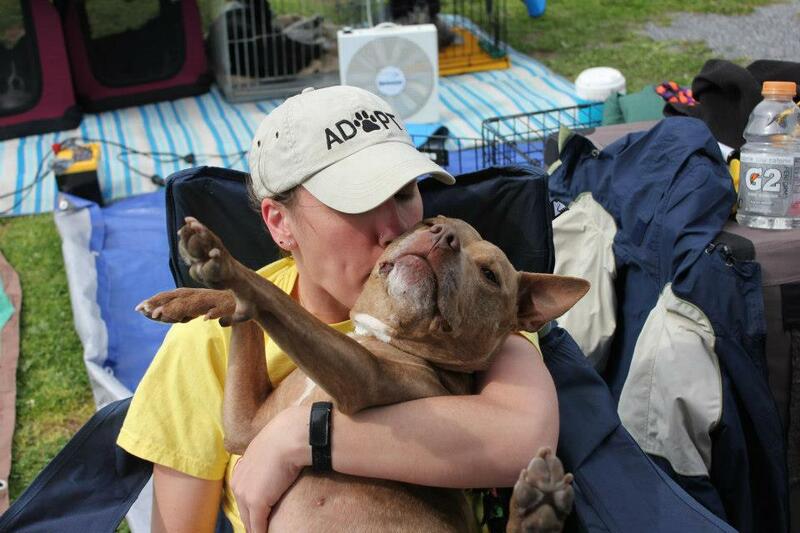 Some dogs, no matter what you do to storm-proof them, are going to end up scared, unfortunately. 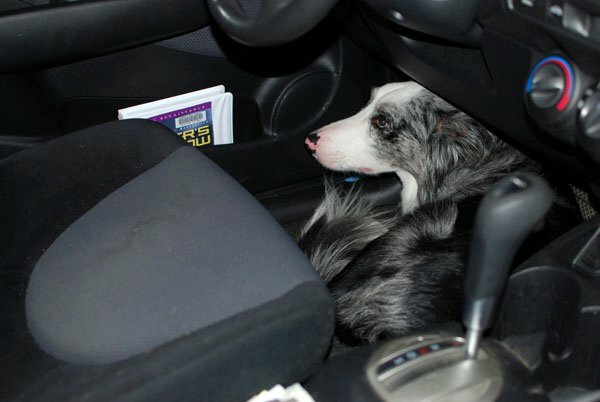 Breed does appear to play some sort of a role– Border Collies, for example, are especially prone to storm phobia and other sound sensitivities. However, it can happen to any dog of any breed or mix, and it can appear at any time in life– sometimes not until old age. 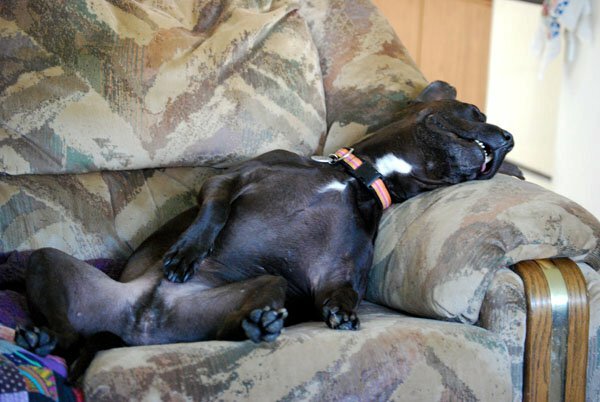 Fortunately, there are many different options out there to try to help your dog be more comfortable. A lot of dogs prefer to be able to hide during storms. They may be more comfortable in a closet or a basement, for example. Many dogs are attracted to bathrooms during storms. If it’s going to storm and you’re not going to be home, making sure your dog has access to his hiding spots is important. Playing music or leaving the television on can help drown out some of the noise, and closing curtains can block the flashing lightning. Steve makes his Thundershirt look good. There are also many commercially available products which may be of some help. A lot of these products seem to be hit-or-miss. They work amazingly for some dogs, and not at all for others, so you have to experiment a bit. 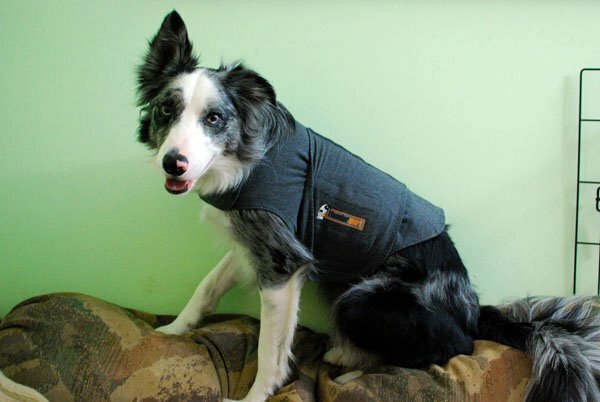 The Thundershirt is one of the most popular available items. It is an adjustable, snugly fitting shirt that provides comforting pressure that may help relieve anxiety (think swaddling an infant). The manufacturer does offer a money-back guarantee if the shirt does not help and you return it within 45 days. Another interesting product available is the Storm Defender Cape. This cape-type blanket is lined with a special material that cuts down on the static that can build up during a thunderstorm, and prevent the reaction and anxiety that it can produce in some dogs. Dog Appeasing Pheromones, also known as DAP, can comfort a dog who is stressed. DAP is available in a spray, a collar, or a plug-in diffuser. This is a product that is userful for a dog who is generally anxious, but the spray especially can be helpful for an especially stressful event like a storm. If all else fails and your dog continues to be terrified of thunderstorms, there are also medications available to help. The downside of medication is that it works best when given an hour or so before a storm hits, so the timing can be tricky (plus you have to be there). However, if you think that is the best option for your dog to get through this summer that has so-far been heavy with storms, give us a call. It’s no fun to be terrified, and if we can help alleviate that terror, we want to do so. Why we recommend heartworm preventative for all dogs. You might notice that we are starting to get more vocal about our recommendation that all dogs either be on monthly heartworm preventative year-round or tested for the disease annually. In the past, we’ve encouraged it, but we’ve kind of slipped a bit recently. It’s easy to get neglectful about preventative when you live in Pennsylvania– it’s not like we’re in The South where they have hundreds upon hundreds of afflicted animals. Heartworm has never been a huge risk in Pennsylvania, and it’s still not. It is a growing risk. 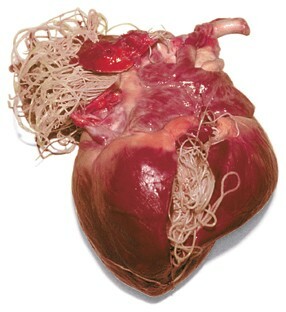 Heartworm disease is quite literally worms living and growing in the heart. The larvae are passed from infected mosquitos biting and transmitting them into a dog’s bloodstream. From there, they spread throughout the bloodstream, and as they mature and grow they migrate to the heart and lungs, where they take up residence. Left unchecked, a heartworm infection can lead to severe heart disease, failure, and death. It is not a nice disease. It can be treated, but the treatment is expensive and somewhat risky depending on the severity of the infection. Often, the damage to the heart is permanent. Check out this nifty interactive map on the Pets and Parasites website. Click on Heartworm and follow the prompts to check out the PA map. This map shows the number of reported tests and positives. There is not a lot of heartworm… but there is not no heartworm, either. We don’t know how many positive tests were not reported, and we also don’t know how many infected dogs are going undetected. This is the scary part, because these dogs form a reservoir from which heartworms can be spread. If a mosquito bites an infected dog and then later bites your dog, your dog can become infected. It happens as quickly and easily as that. Our world is changing, and with it, the incidence and distribution of parasites and diseases such as Lyme disease and heartworm disease also changes. It used to be that heartworm disease was not a big concern because we get cold cold winters that killed off all the mosquitos. This past winter was cold, but unusually so. We have seen a trend toward milder weather, and mosquitos like mild. Another big change is with the animal rescue community. We are seeing more and more small rescues which are rescuing dogs from poor Southern animal shelters and bringing them up here. These dogs frequently carry heartworm disease, and while they might be treated once they get here, they still bring that disease to the area. In addition, many of these rescue groups use a slow-kill method of treatment, which we are now discovering is leading to heartworms which are immune to all of the heartworm preventative drugs we have. Fortunately, this has so far been contained to the area around the Mississippi River, but it’s a scary scary thought. 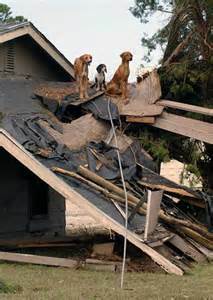 Dogs left in the aftermath of Hurricane Katrina. Photo by Tom Fox. All of these factors contribute to our goal of testing and protecting all dogs against heartworm disease. A monthly tablet (Sentinel) or chew (Heartgard Plus) can stop heartworm infections before they develop by killing any of the larvae your dog might have picked up in the last month. If you kill them off monthly, the worms never have a chance to grow and cause harm. In addition, our heartworm preventative medications help control many of the intestinal parasites which are more common to our area– things like roundworms, hookworms, and whipworms. If your dog is not currently on heartworm medication, or if you’re not very consistent about giving it and you would like to schedule an appointment to have your dog tested, please give us a call at 717-665-2338. Our staff can give you the information you need and point you toward the test that would best fit your dogs’ lifestyle. We can also get your pup started on preventative to make sure he does not develop this horrible disease. How to stuff the perfect Kong. If you have a dog and you have not heard of this wonderful toy called the Kong, you are missing out on a great tool to use to help keep your dog occupied on days when it’s hard to get him enough exercise. Kongs are hollow rubber toys that come in a variety of sizes and toughness, and while they look kind of boring on the outside, the tasty delicious food that you can stuff on the inside is hard for most dogs to resist. For dogs who are new to unstuffing a Kong, it is best to keep things easy and very tasty. You want the dog to have instant gratification, so pick soft foods. I usually use a dab of peanut butter to cover the hole in the closed end and prevent leaks, and then add something like yogurt or cottage cheese, maybe some fruits or vegetables, a glob of peanut butter smeared down deep inside, or maybe some EZ Cheez. Something tasty and easy to lick out. This will help to create a dog who understands what the Kong is all about and finds it rewarding. It won’t take a dog very long to empty out a Kong stuffed like this, but it will be enough to distract him for a short time. For the more advanced Kong-unstuffer, I like to make things more difficult. Stuffing Kongs ahead of time and then freezing them is a great way to make them harder and more time consuming to empty. Anything soft and moist can be frozen, even your dog’s regular dinner. Soak his kibble in some warm water, mix with a spoonful of canned food or yogurt or a sprinkling of parmesan cheese, spoon it inside and pack it in tightly, and then freeze solid. This is GREAT for a dog who is on bed rest for an injury. You have to feed him anyway– why not do it in a way that requires him to work for it? Another way to make Kongs more challenging is to stuff large pieces of things inside so that the dog needs to manipulate it with his mouth to get it out. Dog biscuits can work wonderfully for this. You need big enough ones that it’s a tight fit, and they can be tricky to wrestle through the hole sometimes, but it’s worth it when it keeps your dog working for awhile. Apple slices or chunks of melon can serve the same purpose (remember: no grapes for dogs!). If I need a quick, challenging Kong, this is the way I’ll go. It doesn’t require time to freeze solid, but it keeps my dogs working for a bit longer. Once you get going, there is no end to the possibilities— it just depends on how creative you want to get. Leftover Mac and Cheese? Stuff it in a Kong. Need to use up some eggs before they go bad? Scramble them up, maybe with a little bit of cheese, and stuff them in a Kong. What about a peanut butter and banana “Elvis” Kong? Or healthy scraps from last night’s dinner? Some people like to stuff in layers- a soft bit, some crunchy stuff, and then more soft stuff on top. If it’s healthy and safe for dogs, go for it! Keep in mind the extra calories. It is so easy for food-oriented dogs to become overweight, so if you’re feeding a lot of calories in Kongs, you’ll need to either cut back your pup’s food, start using his food portions as Kong-stuffer, or get him more exercise. This is especially important to keep in mind if you’re using Kongs to entertain a dog on crate rest, when you’re probably going to need to cut his portions back anyway because he’s not getting any exercise. When I was crate resting my dog, I would dump all of his kibble for the next day into a bowl, soak it, add a little something special, and stuff it all in Kongs to freeze overnight. He didn’t really get meals during that time. Instead, he got Kongs at various times throughout the day. I don’t know how I would have gotten through those months of resting a young athletic dog without this trick. Anything that can make his food serving last longer and to require more mental work to get it is going to help me keep my crate-resting dog calmer and easier to rest. 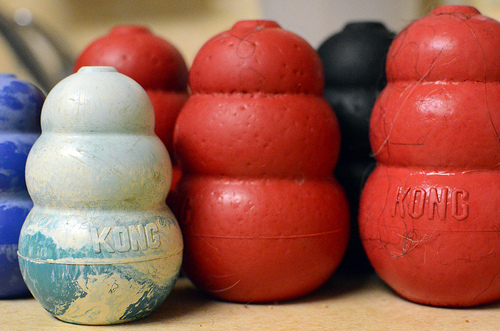 I hope this post opened your eyes to the wonderful world of Kongs, or if you already use them, has broadened your vision of the way they can be used to occupy dogs for longer times. I seriously don’t know what I’d do without these simple toys and all the options they provide to me.